Shots America LLC took home the award for “Best new Pleasure Company of the Year” after being nominated in 9 different categories. On the 15th of January, the annual gala was held across every facet of the adult industry, like movie productions, pleasure products, technology and retail. Shots America LLC opened in July 2015. “In more than 6 months’ time the company has been put thoroughly on the adult map in the Americas! 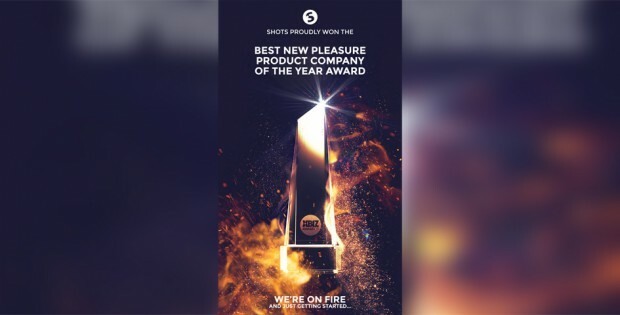 The award for Best New Pleasure Company Of The Year is a major reward for all the hard work and effort that Ruben Deitz and Oscar Heijnen plus their respective teams have put in.” the company said. Almost 550 new products divided over 11 brands were introduced in one go during an in-house trade show, held by Shots America from the 7th till the 12th of January.